I had a bit of a break from quilting the community quilts — I’d finished one batch and hadn’t received the next, then I had a lot of work deadlines to meet and a trip to Bali. I finally got back to my Sweet Sixteen this past weekend, after about a month of no quilting! 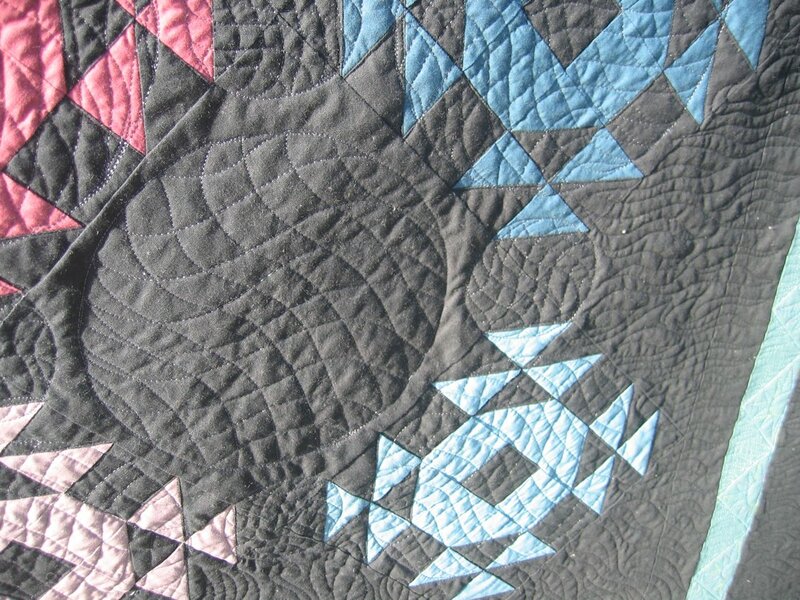 The first quilt I pulled out of the large box of 11 in the new batch was a very dark (mostly solid black) geometric quilt. 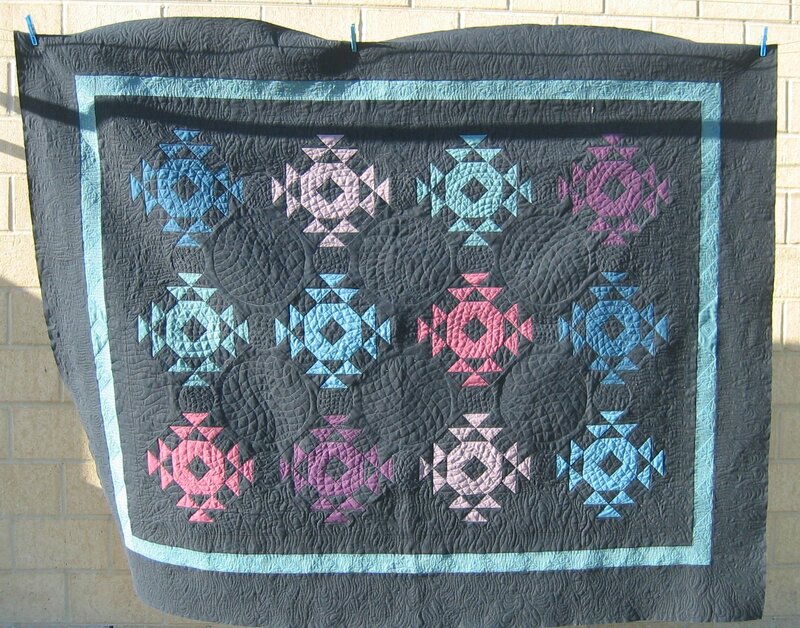 I suspect it was made with a male in mind, so I figured that feathers and flowers wouldn’t be the right way to quilt this quilt. 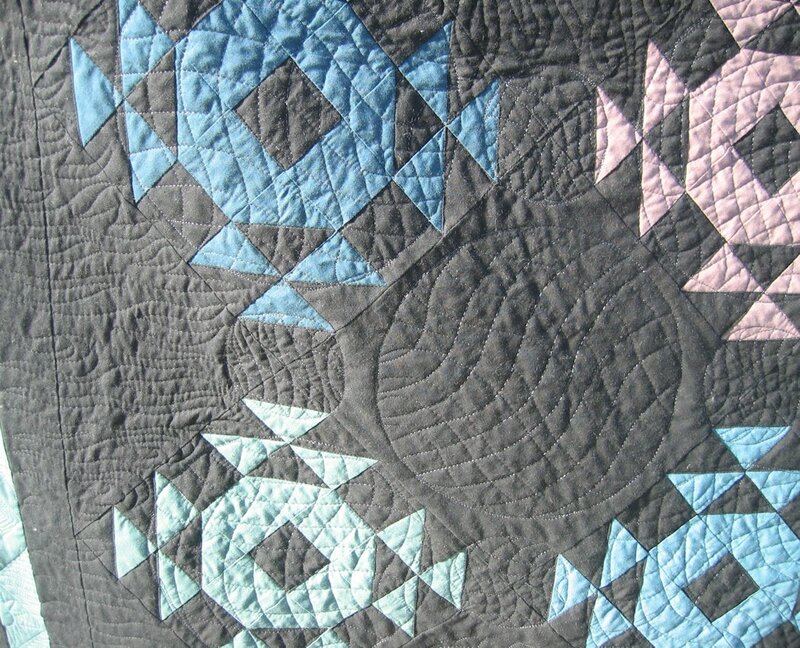 I thought of some sort of Navajo design motifs, but all those I could find on the internet required a LOT of marking (I’m not big on marking — I just want to quilt!). So I looked at it a different way. 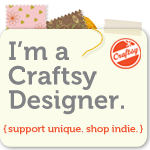 I saw circles in the triangle blocks (! ), so I decided to use one of Leah Day’s ‘matrix’ motifs. Out came a large bowl to mark the big circles and a lid for marking the small circles, then I free motion quilted each circle using a dark charcoal thread with a bit of a sheen (Floriani embroidery thread, 40 wt rayon, colour PF488), and using dark navy Wonderfil Invisifil (100 wt, colour IF 608) in the bobbin (the backing fabric was navy). 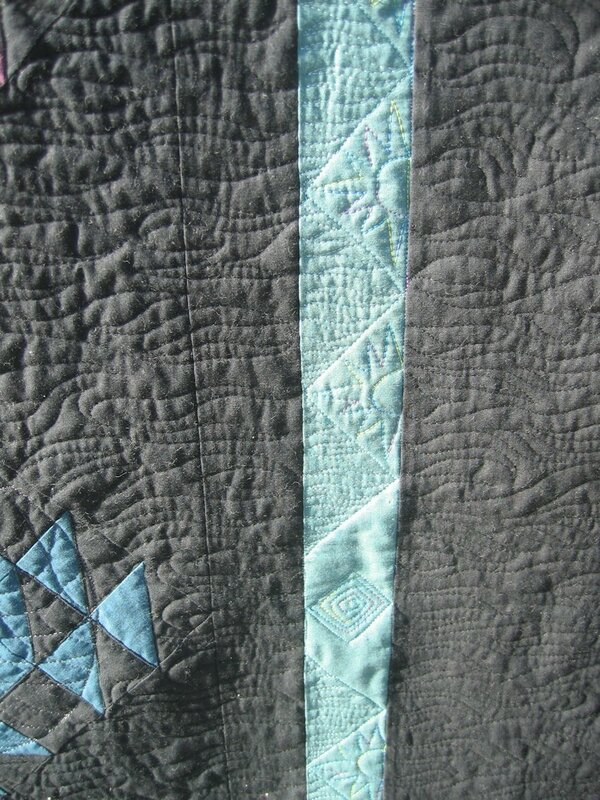 I used a variegated King Tut thread (colour 403 ‘Cairo’) for the rising sun motifs in the blue/grey border, and a soft green/blue rayon for the flames in the same border (Robison-Anton rayon, 40 wt, colour 2313 ‘Sprite’). The large flames in the other black areas and the large border were quilted with a black Gutermann polyester thread. I didn’t want any sort of sheen for these areas, which is why I just used a ‘standard’ thread. Wow! Love what you did on this quilt Rhonda.